The Ferrari winery was not just represented by the three labels presented for the wine tasting – Maximum Brut, Perlé and Perlé Rosé – on the international stages of the “Trentino Wine On Tour”. 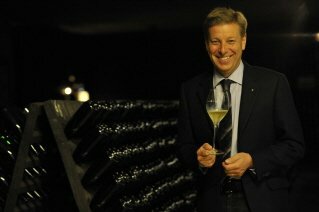 In the elegant locations of Hotel Adlon Kempinsky in Berlin on 28th February and Hotel Metropol in Zurich on 7th March, Ruben Larentis, production manager, who has worked for Cantine Ferrari for the last 25 years, was also present as guest of honour and holder of the title “Enologist of the Year” awarded by the Gambero Rosso. 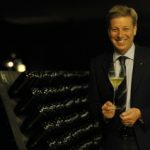 Ruben Larentis played a leading role in two important wine tastings, which have naturally seen the Trentodoc at centre stage, alongside great names in wine journalism such as Richard Grosche in Berlin and Jens Priewe in Zurich.